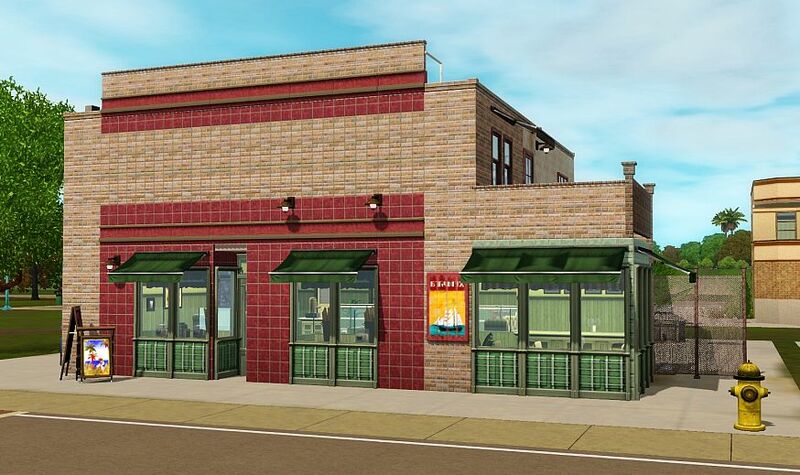 A while ago I could buy the Deliciously Indulgent Bakery Set from the EA Store on a sale, and I've built a bakery for my vintage urban American neighborhood that I play in. 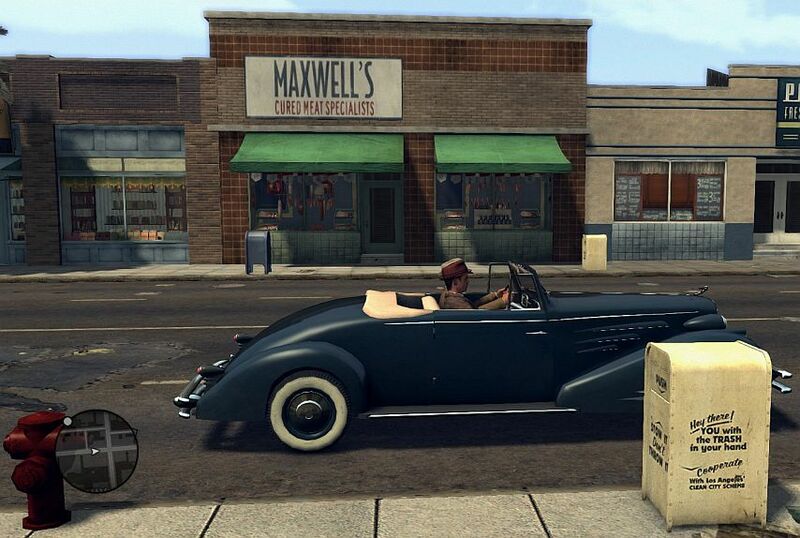 As always lately, I was influenced by the style of the PC game LA Noire (set in 1947, Los Angeles) while creating both the exterior and the interiors. 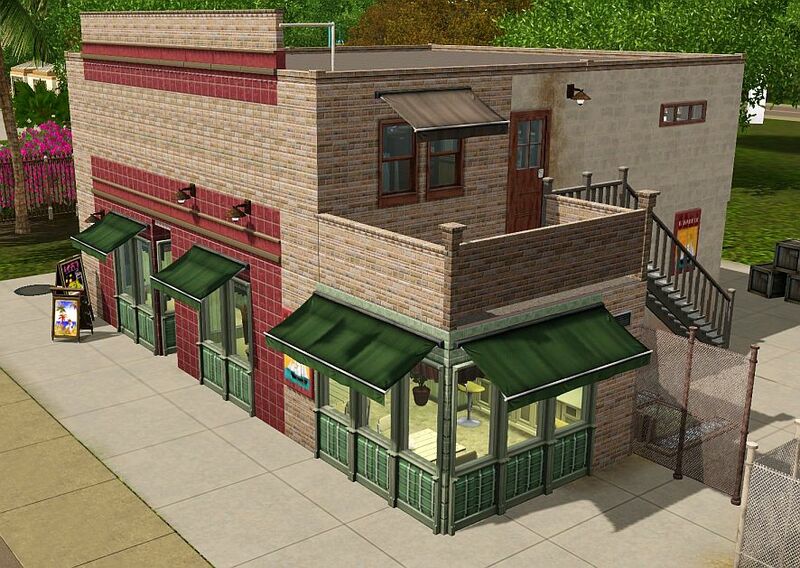 The lot is set to be a Hangout (I suppose this is the recommended setting for the bakery set). 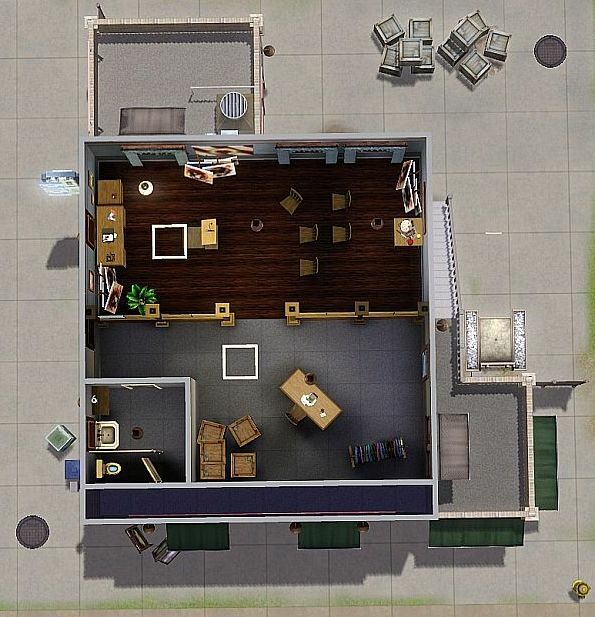 On the first floor you can find a mix of a bakery store and a bistro / cafï¿½, equipped not only with the baking oven, but a grill and a mini-fridge too (University EP), so no one can stay hungry visiting the place. 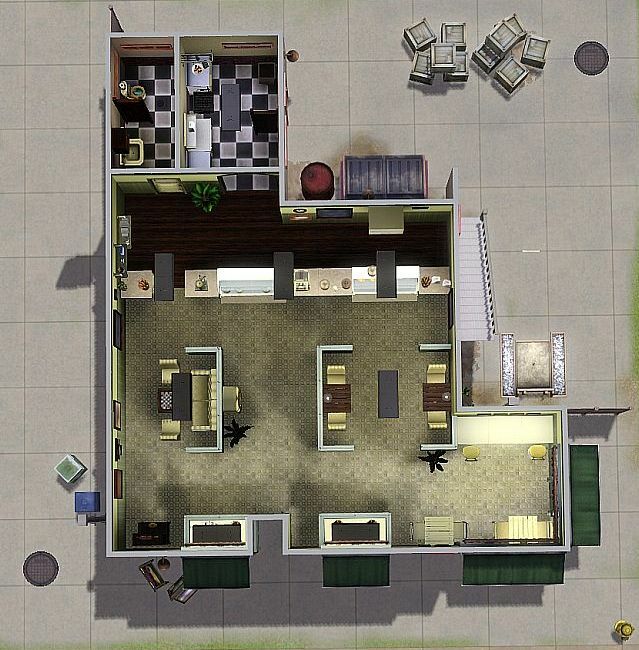 On the second floor, if I wanted to be faithful to the "old LA" lore, some illegal racket activity should be going on, but lacking the CC content for that, I decided to furnish a Rebel political party meeting place, which, if one simulates the '40s, is likely semi-legal too. 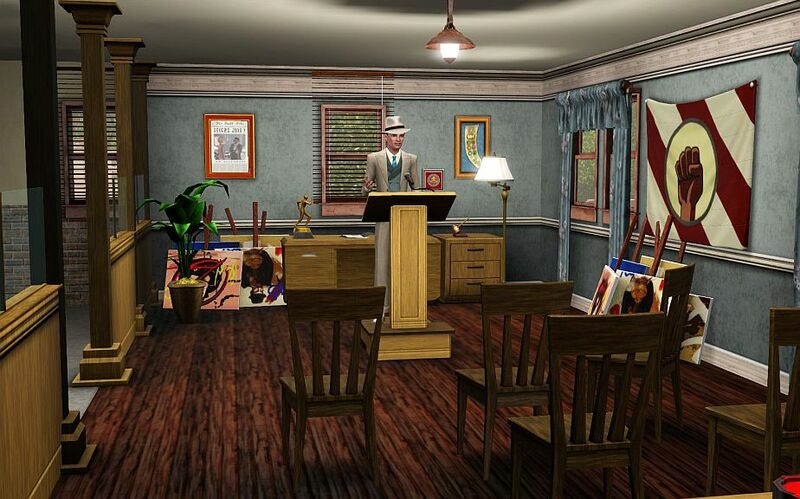 The visiting sims can use the speaker's podium to announce their next Protest, the chess table in the bakery, or the horseshoe court in the alley; but they tend to use the baking oven autonomously, too. 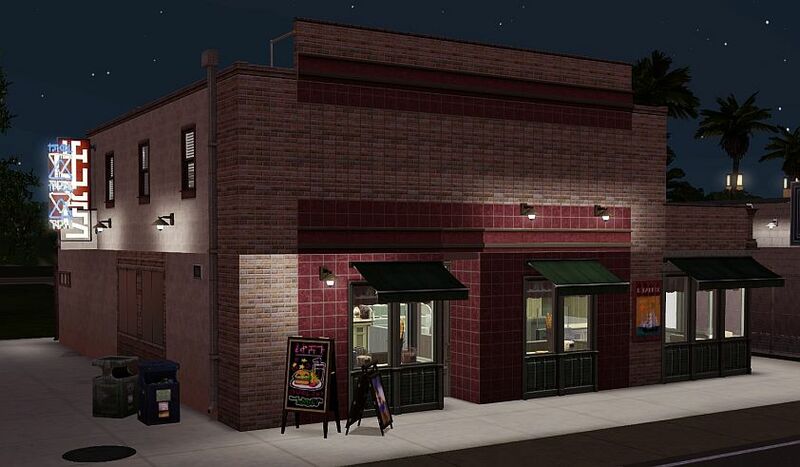 1. the sim buys the bakery lot as a venue. 2. she bakes all the food, cakes, etc. at home - not inside the bakery! 3. He/she drags each plate of food into her inventory as fresh as possible. 4. 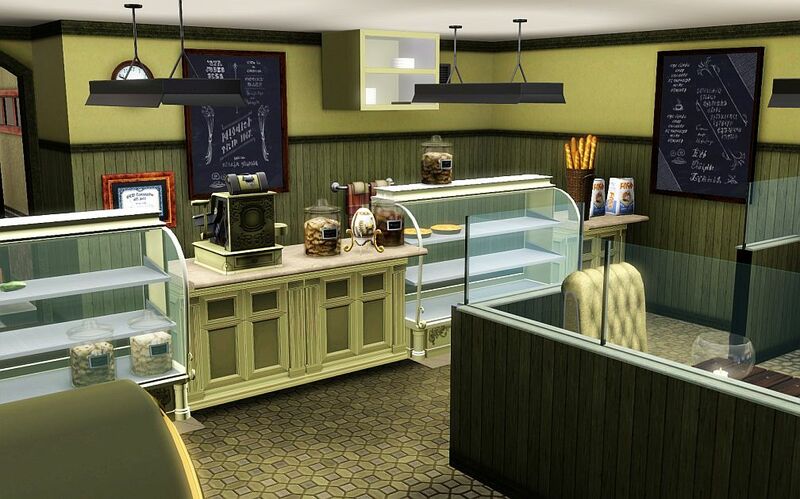 Zoom into the bakery with your camera (your sim shouldn't even go there), and drag and drop each plates of food into the glass displays, then set the prices and the other options clicking on the displays and the register. - Done. 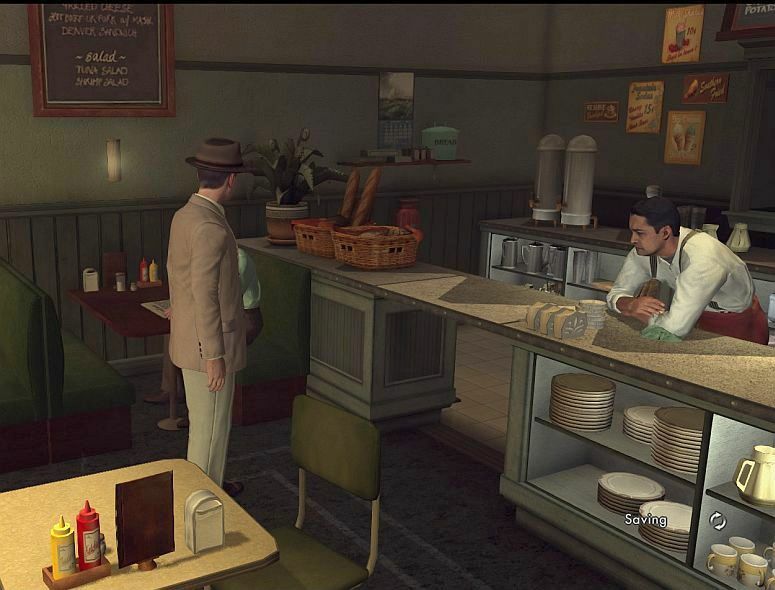 It's NOT necessary to Tend the Register inside the shop, the owner of the bakery shouldn't even go to the bakery lot and the food displayed will be autonomously sold when the townies visit the place and browse. 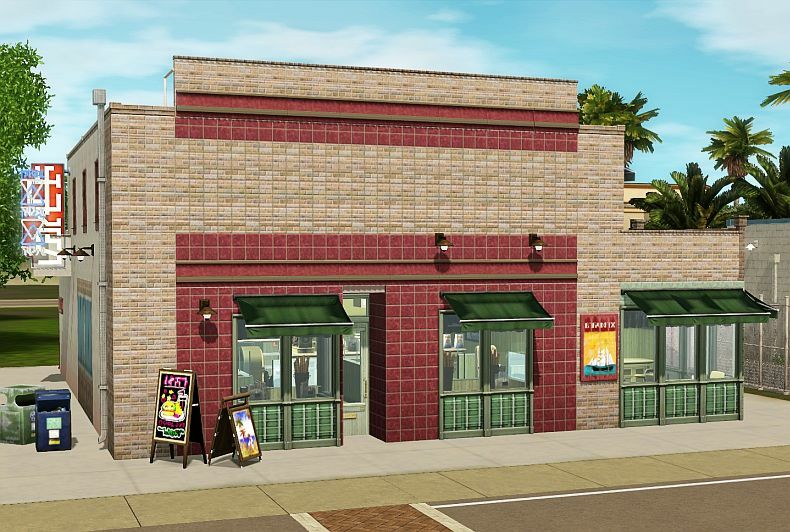 - Buying the lot as a venue costs 108,510 simoleons currently in my game, so it's pricier than the Build mode Furnished sum. 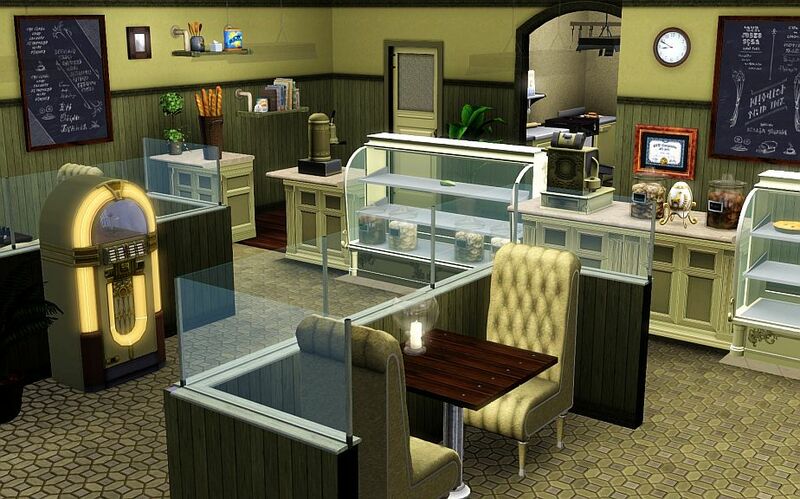 No CC and no Stuff Packs were used, but obviously you need the Deliciously Indulgent Bakery Set , from the EA Store, and the following EPs: World Adventures, Late Night, Generations, Ambitions, Showtime, Seasons, University Life, Island Paradise. I think quite a sum of stuff are from University Life EP on the lot. 144 people have said thanks to Floraflora2 for this download.